A very experienced guitar vocalist is looking for a male or female singer or accompanist to perform as a duo in all venues. Any age considered. I am 62 (people say I look younger, haha!). Any suitable repertoire can be included and I also like to sqeeze a few originals in. I am very familiar with songs of the Sinatra/Bennet/Buble type. 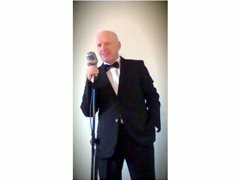 I have backing tracks and can also create tracks of my own. I am ready for immediate rehearsals and gigs and would hope that you are too. Paid : Going rate per gig. Keyboard accompaniment can either be of the cocktail lounge piano type or the full music worksation type....or both!